That’s an easy answer in light of what happened in August 2017. I’d wish for help in recreating the lost 2,000–5,000 words of The Strongest Branches of Uprooted Trees, which weren’t in the near-complete backup I thankfully had. This section comes near the long mostly-flashback Part II, where Eszter and her boyfriend Jakób are interrogated in SS headquarters in Zakopane, Poland. They refuse to confess their true identity or betray anyone in the Hungarian underground, and are sent to Majdanek. I’m still 100% committed to finishing A Dream Deferred, esp. after how many times I put it on hiatus since starting it in November 2015, but now I have such a regained passion for Branches. I’ve fallen in love with the story all over again, and am so eager to get back to it. I fully accept blame for losing that file. I went into panic mode when I kept getting the error message about the computer being unable to save the file (for just one little correction of a typo! ), and assumed it’d still be there after restarting. I should’ve duplicated it and saved that new file, or put it on my flash drive. I learnt yet another hard, painful lesson: Always have separate chapter files before C&Ping everything into a master file. Don’t make exceptions for books you’re fleshing out from novella-length stories vs. creating from scratch. C&P the pertinent sections into each chapter file and work from there. I suspect part of the reason I neglected to back up that file every day was because of my depression and other mental health issues in the first half of 2017. I had almost no motivation to do anything, rarely left my bed or put on day clothes, didn’t do laundry for months, had an inverted sleep cycle, and ballooned up to almost 220 pounds on a frame just under 5’2. Even my now-19-year-old spider plant Kalanit was dying. I’m in a much better mental state now. My weight is back in the 150s for the first time in probably 5+ years, and Kalanit is the healthiest and most vibrant she’s been in years. On another very pleasant note, recent genealogical research has revealed some amazing surprises. In a future post, I’ll introduce you to my illustrious ancestors, who ranks include knights (one of whom is now a saint); a Comptroller of the Household of Queen Elizabeth I; the judge who presided over the trial of Mary, Queen of Scots; and Oliver Cromwell’s uncle. I’m also distantly related to two U.S. presidents. Have you learnt any painful lessons about saving your work? Are you doing Camp NaNo? 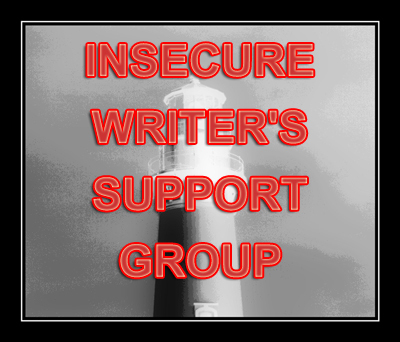 Has your writing ever suffered due to depression and mental health struggles?